It's time your security solutions started talking. Rapid growth of complex, coordinated threats is outpacing the ability of many organizations to protect themselves. Point products can stop individual elements of an attack, but they don’t work together to protect your data, devices, and network from sophisticated, coordinated cyber attacks. At the same time, overstretched IT departments struggle to respond fast enough to these threats. Synchronized Security is a best of breed security system that enables your defenses to be as coordinated as the attacks they protect against. It combines an intuitive security platform with award-winning products that actively work together to block advanced threats to give you unparalleled protection. Best-of-breed products packed with next-gen technology actively work together to detect and prevent advanced attacks like ransomware and botnets. Security information is shared and acted on automatically across the system, isolating infected endpoints before the threat can spread and slashing incident response time by 99.9%. See - and control - what's happening in real-time for simpler, better IT security management. 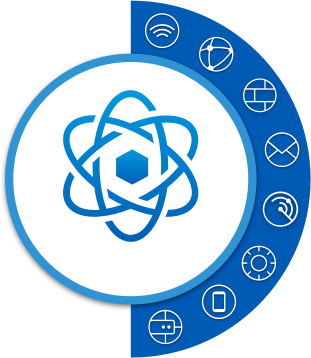 Sophos Central, our award-winning security platform, is an essential component to Synchronized Security. You need at least one Synchronized Security-enabled, Sophos Central-managed product. You can implement multiple Sophos solutions together for immediate synchronized protection. Or you can start with one product and add more when you are ready. Of course, the more Sophos solutions you have the more you benefit from Synchronized Security.